Flanked by majestic mountains and dramatic coastlines, the vibrant city of Cape Town is one of the world’s most breathtaking and popular tourist destinations. Crowned as the number one city in Africa for business tourism events for the fourth consecutive year, and voted as the best city in the world in the 2017 Telegraph Travel Awards, Cape Town is a major attraction for holidaymakers and business travellers alike. As a top local and international destination, there are more things to do in Cape Town today than ever before, especially for those seeking something a bit more exclusive than your average tourist attraction. From world-class shopping to award-winning dining, five-star hotels to lavish spas and more – Cape Town has something for every type of traveller, in every season – and yes, certainly also when the cold winter weather sets in. Exactly when does winter start in Cape Town? According to an analysis in the region over the last 23 years, it is suggested that winter rainfall in Cape Town normally begins around the 18th of April each year and lasts until the 30th of September. But don’t be discouraged, there are more than enough luxurious winter activities to keep you entertained in Cape Town, even when it is raining! Here is our list of the top winter activities in Cape Town, perfect for those who’d like to experience the more refined side of the Mother City in an authentically African way. As Cape Town winter weather brings a chill to the air, Shimansky is warming visitors’ hearts with a treasured diamond experience. The Shimansky Diamond Tour at the Clock Tower in the V&A Waterfront takes you on a personalised discovery of a diamond’s three-billion-year-old-story – following its journey from its formation deep within the Earth’s crust to its final transformation into a mesmerising creation of fire and light. The Shimansky Experience takes you through the Cape Town Diamond Museum where you can view replicas of some of the world’s most famous diamonds, followed by a stroll through the Shimansky Diamond Cutting and Polishing Workshop, which leads you to the Jewellery Manufacturing Factory. 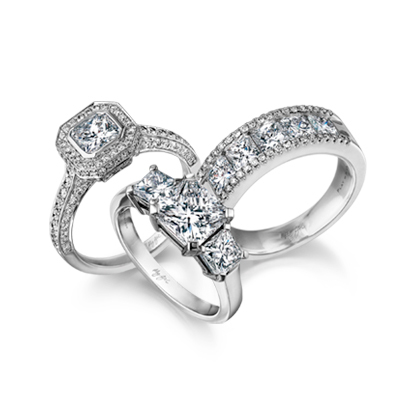 It’s here where the diamonds are set into a range of breathtakingly beautiful gold and platinum rings suitable for any occasion – from engagement rings to anniversary rings, dress rings and more. Adjunct to the Cape Town Diamond Museum is the Shimansky flagship Showroom, one of Cape Town’s most unique attractions for local and international visitors. Here, you can shop a range of unique patented diamond cuts and signature diamond jewellery designs, including the Evolym, Millennium, Eight Hearts, Brilliant 10 and My Girl Diamond collections. And, if you have something specific in mind, you can design your own bespoke ring that’s as unique as you are and return home with a true South African treasure. The Shimansky Diamond Experience Tour is certainly one of the best things to do in Cape Town when the wet weather sets in. Book your tour now for a dazzling visit at the V&A Waterfront’s Clock Tower Precinct and explore the fascinating world of diamonds – no visit to the city is complete without it. One of the most romantic things to do in Cape Town during the rainy season is indulging in some of the country’s top culinary delights with your loved one. Visitors will be happy to know that when it comes to exceptional food, Cape Town has plenty of options. With a host of top-notch restaurants headed by celebrity chefs, visitors are spoilt for choice. Cape Town’s foodie scene is exploding with an eclectic mix of restaurants headed by big-name chefs, such as Luke Dale-Roberts from The Test Kitchen in Woodstock, Scot Kirton from La Colombe Restaurant at Silvermist Wine Estate, and Liam Tomlinson from The Chefs Warehouse in Constantia. As one of the judges on Masterchef SA, Reuben Riffel is one of the country’s best-loved chefs. The One&Only Cape Town is home to Reuben’s first urban restaurant, which showcases a mouth-watering menu that celebrates the Cape’s rich culinary heritage. Built on the legacy of the ancient spice routes, the diversity of South African cultures and cuisines, and the abundant fresh produce found in Cape Town, the menu has something to delight every pallet. If you are looking for romantic things to do in Cape Town, a bespoke, private dinner by one of the country’s top chefs certainly tops the list. Experience an elegant afternoon tradition at Cape Town’s oldest and most prestigious hotel – the five-star Belmond Mount Nelson Hotel, conveniently located in the leafy Gardens suburb of Cape Town. At Belmond Mount Nelson Hotel, high tea is an institution. With a truly delectable selection of sweet and savoury treats, coupled with world-class hospitality, this indulging experience is the best afternoon tea Cape Town has to offer – and the perfect way to spend a cold winter afternoon in style. Situated less than two hours outside of Cape Town, the Aquila Private Game Reserve is the perfect escape from winter blues. Here you can marvel at lions and other members of the “Big 5” from the safety of a safari vehicle. During the winter season blankets and raincoats are made available to guests to provide extra protection from these elements. After the game drive, visitors can savour lunch at the African Boma restaurant and snuggle up in front of a roaring log fire in the lounge. The reserve also offers a variety of four-star accommodation options, such as luxury cottages, which are equipped with patios, corner baths, minibars, and “coal‟ stoves for that extra bit of warmth and cosiness in the colder months. While there are plenty of things to do in Cape Town when it rains, none of these activities are quite as wonderful as an exclusive Helicopter ride over the Cape Peninsula. A visit to Cape Town Helicopters, at the V&A Waterfront, will afford you the remarkable opportunity to enjoy a trip in the quietest and most state of the art Helicopters in South Africa. Enjoy a tailored scenic route around the Cape Peninsula, showing off some of the most iconic sights in the world, daily luncheon charters to top wine estates and even picnics in the Poplar forests. Cape Town Helicopters also offer scenic trips to Game Drive experiences, Golf Tours, Heli-mountain biking, and so much more. The experience is more than just a "helicopter flight”, it's a journey you will truly never forget. What better way to triumph the winter cold than with a revitalising treatment at one of the Mother City’s top spas? The Silo Spa, located on the fourth floor of the new, trendy Silo Hotel in the V&A Waterfront, is a tranquil space in which guests can relax and indulge in the latest therapies, international products and spa techniques. Equipped with a gym, sauna and five treatment rooms – two of which can be made into a couple’s room – the Silo Spa has something for every type of visitor. A relaxing afternoon at this prestigious establishment will prove to be one of the most comforting and fun things to do in Cape Town for couples and singles alike when there’s a cold front blowing through the city. If you are looking for things to do in Cape Town tonight you may consider a taste of true local cuisine. A visit to Cape Town just wouldn’t be complete without it. One of the best authentically African restaurants – and one of the best winter restaurants in Cape Town – can be found in the heart of the Mother City. Gold Restaurant is ideally situated in Green Point in a beautifully revamped old warehouse – a breathtaking setting that is topped only by its cuisine. The menu consists of a vibrant mix of South African flavours, representing the country’s rich and diverse cultural heritage. Be transformed by the rhythmic beating of the djembe drums, and mesmerised by the ensuing 14 dish, African-inspired taste-safari featuring dishes from Cape to Timbuktu. In addition, this culinary experience is accompanied by interactive traditional entertainment. While there are plenty of winter markets in Cape Town, there’s only one with a vibe quite like the Mojo Market. Set in the heart of Sea Point, this indoor market with magnificent floor-to-ceiling views of the sea and palm-lined promenade is the perfect hideaway from the cold weather. This chic urban lifestyle market features an eclectic mix of 20 designer retail stalls, a variety of cuisines, live music and a bar with on-tap craft beer, gins, whiskeys and more. The Mojo Market is open for breakfast, lunch and dinner and showcases around 10 live performing acts per week, which happen during the following timeslots: Monday-Thursday (7pm); Friday (1pm, 7pm); Saturday (1pm, 6pm, 8pm) and Sunday (1pm, 7pm). With so many up-market things to do in Cape Town today, no visitor will leave without having had the opportunity to experience something magnificent. The wide selection of things to do in Cape Town in winter certainly makes the city a destination of choice for all seasons.